The contemporary retelling of the popular legend is back for a second series with more breathtaking archery incredible swordplay lots of humour fun and energy a smattering of brute force and the raw determination to right wrongs. The Sheriff is in the final stages of a plot to kill King Richard upon his return from the Holy Land. 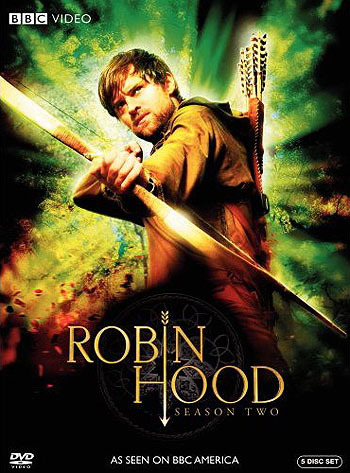 The Sheriff also wants Robin Hood dead and with his devastating sister Davina sets about catching him once and for all. It seems only a matter of time until Marian escapes to the forest and she and Robin can be together. Until that is Gisborne turns up at Knighton Hall and razes it to the ground seizing Marian and Edward and placing them under house arrest in the castle. Marian and Robin now separate for the good of England Marian as the castle spy and Robin leading his gang in the forest and villages of Nottingham...Running Time: 578 min.